Observations of exploding stars halfway across the Universe show that the expansion of the Universe is speeding up. We attribute this to a pervasive “dark energy” whose properties we would like to understand. It might be the same thing as Einstein’s Cosmological Constant from 1917, which he later regarded as a great blunder. I will show the evidence for cosmic acceleration, outline the present state of knowledge on dark energy, and suggest some ways to find out more about this deep cosmic mystery that lies at the heart of our understanding of gravitation and of our cosmic destiny. The discovery of cosmic acceleration using supernovae was awarded the 2011 Nobel Prize in Physics. When Albert Einstein applied General Relativity to the universe in 1917, he famously included a “cosmological term” to make a static solution. By 1930, observations showed that the universe was not static, but expanding, and Einstein banished the cosmological constant from further discussion. 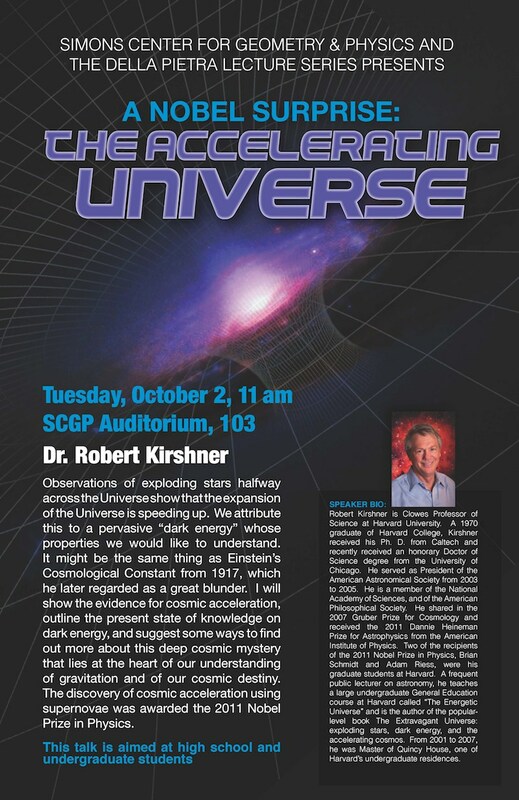 But observations in the 1990s using thermonuclear supernova explosions as cosmic yardsticks, established that the expansion of the universe is accelerating, which could be the result of a modern form of Einstein’s cosmological constant: a negative pressure associated with the vacuum. This observational work was recognized with the 2011 Nobel Prize in Physics. But there is no fundamental understanding of why this pressure is so small, why it is comparable to the present energy density of matter, or why the inflection from cosmic deceleration to cosmic acceleration is so recent. I will sketch present-day efforts using the Hubble Space Telescope to constrain the properties of the dark energy and to see whether it is or is not identical to the cosmological constant. Robert Kirshner is Clowes Professor of Science at Harvard University. 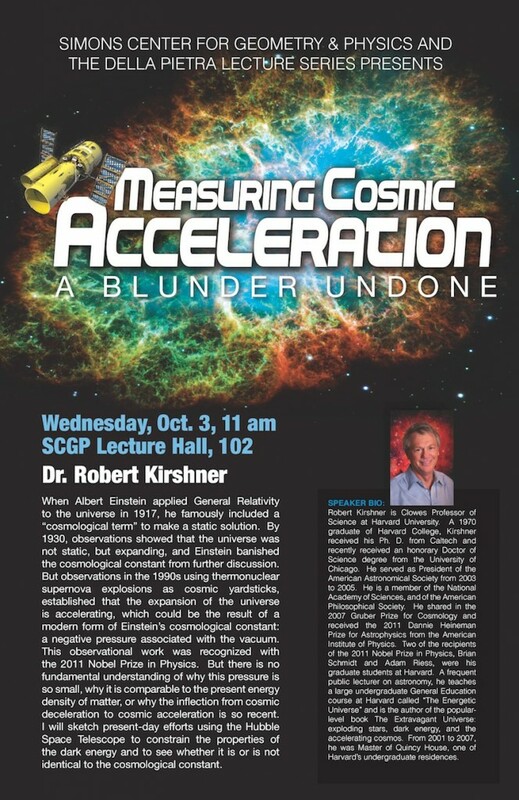 A 1970 graduate of Harvard College, Kirshner received his Ph. D. from Caltech and recently received an honorary Doctor of Science degree from the University of Chicago. He served as President of the American Astronomical Society from 2003 to 2005. He is a member of the National Academy of Sciences, and of the American Philosophical Society. 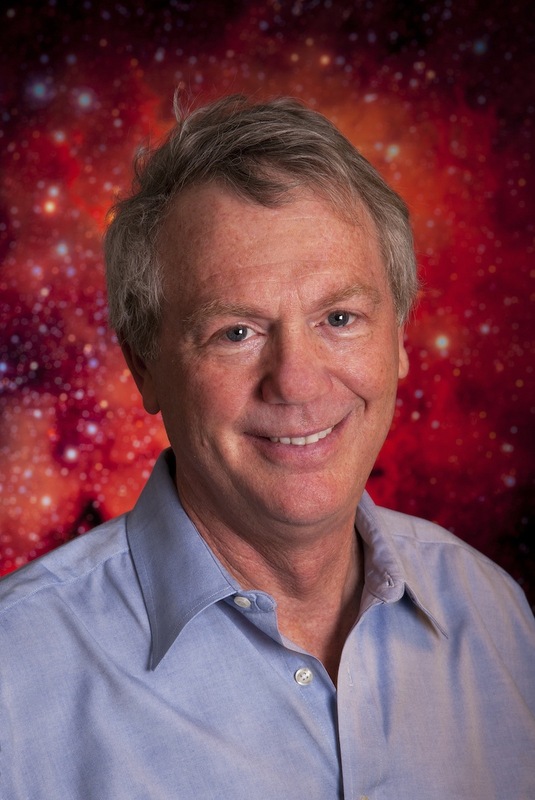 He shared in the 2007 Gruber Prize for Cosmology and received the 2011 Dannie Heineman Prize for Astrophysics from the American Institute of Physics. Two of the recipients of the 2011 Nobel Prize in Physics, Brian Schmidt and Adam Riess, were his graduate students at Harvard. 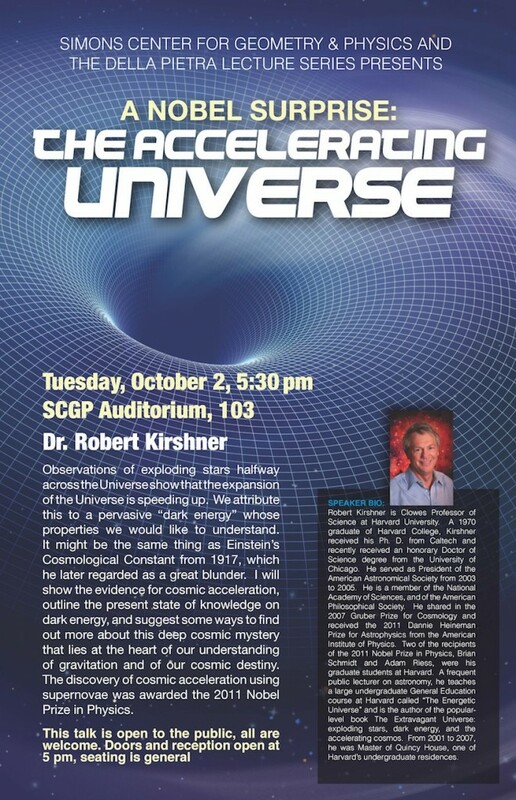 A frequent public lecturer on astronomy, he teaches a large undergraduate General Education course at Harvard called “The Energetic Universe” and is the author of the popular-level book The Extravagant Universe: exploding stars, dark energy, and the accelerating cosmos. From 2001 to 2007, he was Master of Quincy House, one of Harvard’s undergraduate residences.